Help us rise to meet international performance standards and showcase Somerville talent in the US. Unlike other Oxford colleges, Somerville does not have a longstanding choral tradition and we are one of the newest choirs on the scene. However we have worked very hard to become one of the leading choirs in Oxford and we are now poised to make a significant leap forward. 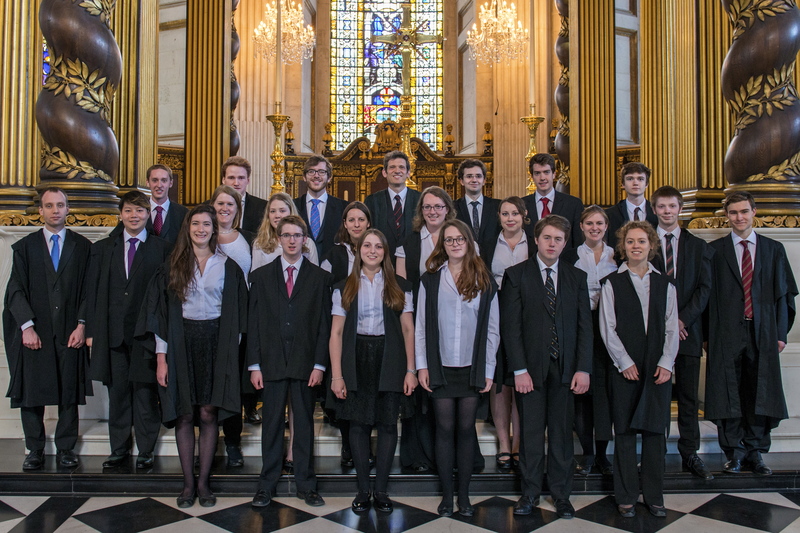 We have recently released two commercial CDs to great critical acclaim and have performed across England, including singing evensong at St. Paul’s Cathedral as well as in Europe. This month our YouTube views have just passed the quarter-million mark! We now hope to increase our international exposure, to rise to the challenge of performing at the high international standard that is expected in the US and to further grow and develop as a musical ensemble. We have seen how large-scale foreign tours can have a major impact on our individual and collective success. Trips to Germany (2009) and Italy (2011) garnered unexpected media coverage, have been essential to helping professionalize our Choir and have deepened the experience for all involved. In terms of developing musically, the intensity of singing multiple formal performances in intimidating venues fosters growth in a unique way. Our confirmed venues include Washington National Cathedral and Trinity Church, Boston, and we may even have the opportunity to sing at the Singapore Embassy. Not only will we become much better technically, but we will also face the personal challenges of a trying tour schedule together. Finally it is an opportunity to reach audiences across the Atlantic, which without your help, would simply not be possible. Each member of the Choir is contributing a portion of their own travel costs to help fund the trip. However, we are greatly in need of some help if we have any hope of making this trip a reality. We are looking for help funding the remaining costs of our plane fares and our accommodation arrangements. If you don't feel you can support us financially, please use the 'I want to help' button to share our project with all your friends! You will be listed as a 'Friend of the Somerville Choir' on our website at the end of our campaign and you'll receive a thank you email with a photo from the Tour when we return this autumn. You'll receive the above plus a hand-written thank you from a Choir member including a printed, signed copy of a photo from the Tour. You'll receive all of the above, plus a digital recording of one our our Tour performances. You'll receive of the above plus a personalised jingle (e.g. 'Happy Birthday, 'For He's a Jolly Good Fellow', etc) recorded and sent to you as an MP3. You'll receive all of the above plus a private concert at your event in Oxfordshire. Please do contact us with any questions or for further details.